We made it home, the day before Berkeley was due. It was both wonderful and overwhelming in so many different ways. Berkeley is receiving all the love any little one could desire from her three doting siblings and two adoring parents. 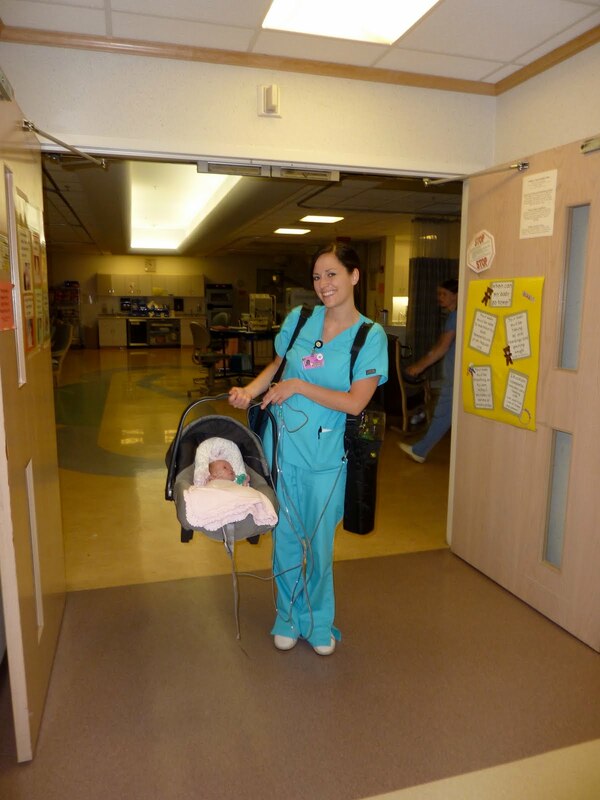 Here is one of our favorite nurses Kory, walking us out! You can see she is carrying the portable oxygen tank and monitors. As much as we ended up loving some of the nurses, it was wonderful to leave. 23 days is long enough.